Kernmantle Rope Lifelline - 1/2 in. (13mm) with Thimble At Both Ends - 50 ft.
DBI-Sala Kernmantle Rope Lifelline - 1/2 in. (13mm) with Thimble At Both Ends - 50 ft.
50 ft. (15 m) 1/2 in. 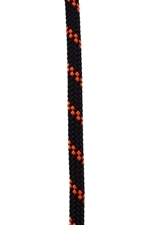 (13 mm) static kernmantle rope lifeline with thimble at both ends. Standards EN 1891, AS 4142, Capital Safety Gen. Mfg. Req.